A Federal Road Safety Corps patrol team has intercepted three suspected child traffickers with 17 minors in Kaduna. The corps said a male driver of a Ford Galaxy mini-bus, and two others, including a woman, were arrested and handed over to the National Agency for Prohibition of Trafficking in Persons. 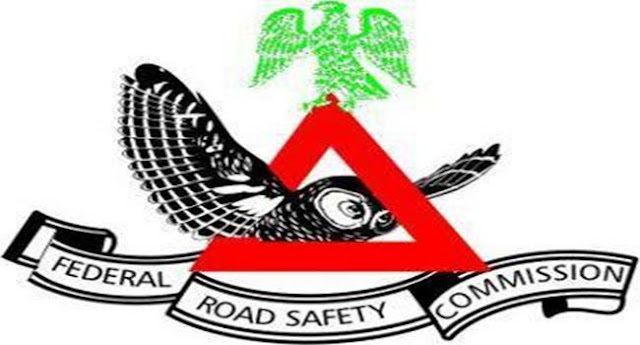 A statement by the FRSC spokesman, Bisi Kazeem, on Saturday in Abuja said the vehicle with registration number LMU 76 XA did not stop when flagged down, but was arrested at a traffic light at Dutsinma junction in Kaduna. Kazeem explained that the vehicle was initially impounded for overloading and broken windscreen, but the corps personnel on closer examination suspected the occupants to be child traffickers with minors heading to an unknown destination. “The patrol team had earlier set out to book the driver for committing traffic offences of overloading and broken windscreen; but on close inspection, the team leader noticed that the front windscreen of the vehicle had a crack and counted 17 minors and three adults totalling 20 persons instead of only nine persons occupying the vehicle, which raised her suspicions,” he said. The corps stated that the vehicle was impounded and taken to the base for overloading, seat belt violation and windscreen violation. On learning about the incident, Kazeem said the Corps Marshal, Boboye Oyeyemi, directed the case to be reported to the Comptroller of Immigration Kaduna State, who immediately sent his personnel to impound the vehicle and its occupants for further investigation. The children and the suspects, he added, were subsequently taken to Kano office of NAPTIP for further investigation and necessary action.